Using a universal power train, this cultivator can transition into other useful tools for around the home or farm. All in one. One for all. The MM 55 STIHL YARD BOSS? lets you take charge of your landscape with one versatile, lightweight yard tool. This multi-task machine uses a universal power train that accepts a wide range of high-performance attachments and accessories. Switch from its aggressive ?pick? 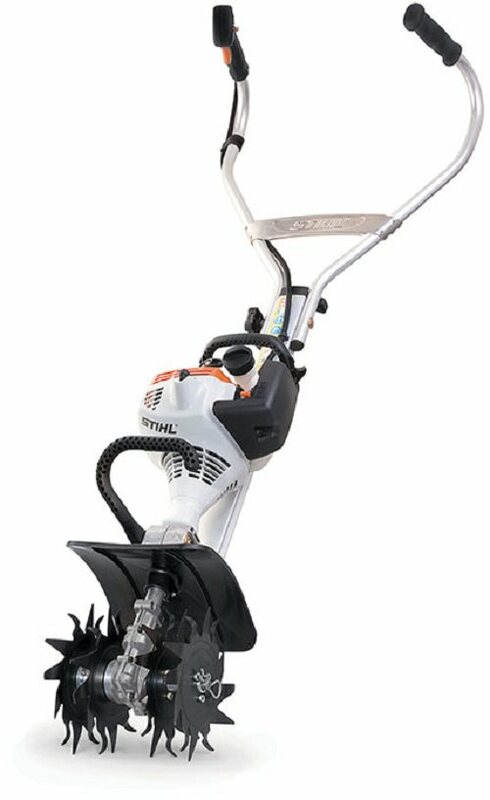 style cultivator to other useful tools, including optional trimmer, lawn aerator, dethatcher, bed edger, bristle brush broom and more. And when the job is done, its handles fold neatly for easy storage and transport. The STIHL YARD BOSS? is a must-have for space-savvy homeowners.